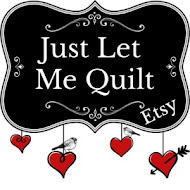 Just Let Me Quilt: RWB Blog Hopping and Giveaway! I made five 10 1/2 inch blocks with mostly 1 1/2 inch strips and just sort of freehanded and created each block as I went along. I added some tabs on the back so I can hang it if I want to. I learned from Amy Gibson on her BOM class at Craftsy. Lots more blocks to make before this one is done. Your blocks are awesome! I particularly love block three, and the paper-pieced quilt is wonderful! So glad you're on the hop! Thanks for the chance! I really like the blocks you have created, you have been so busy! And here I am, entering your giveaway, how generous of you! Very, very cute blocks! Would love to win some Halloween also. Such talent! Really nice. I like them all. My 3 1/2 yr old daughter siad "cool" when she looked too. I lurve Halloween very much and would love to add a charm pack to my evre growing stash. Thanks for the oppotrunity. hard to think about Halloween with all this red,white,and blue but a new stack of these prints would definately help me along! thanks for chance to win! I do love your blocks, by the way! 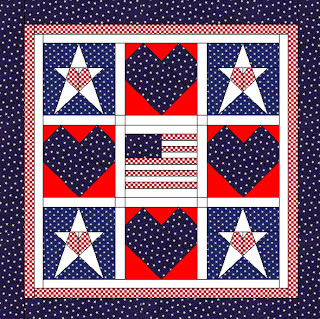 Wow , some gorgeous blocks all wonderful for July 4th celebrations .Thanks for sharing. Your blocks are amazing! I love them. Thanks for sharing. Gorgeous table runner! Perfect for a July 4th cookout. I love the fabrics and blocks in your table runner! Carol, The Runner is absolutely Stunning!! Thanks for Sharing!! Wow you were really busy doing all those blocks - they are all fabulous. Great RWB thanks for the blot. Wonderful...both the table runner and quilt! Wow! Love them! Lots of great blocks! Love them all. Thanks for the giveaway.....Halloween fabric is my favorite! I love, love, love your 5 free style red/white/blue blocks! Wow! You've been busy! The table runner is so fun, and I really love your mini quilt. I obviously need EQ. Yes, I do. And thanks for the chance to win a prize. I really love all of your blocks. That is a fantastic table runner and mini quilt. thank you so much for sharing! have a Happy 4th. OHHHHHHH wow Carol you have heart and lot;s of stitches...I love every one of them.. and the fact that you made them into quilts....wellllllll why didn't I think of that...ohhhhh my if I had just a bit more time...listen, I think I heard one of your blocks made it somewhere as the top.....????? Love the patriotic table runner. Thanks for the chance to win. Loved the hint about adding the tabs to the runner so it can be hung if you want. Cute blocks. Thanks for the chance to win. I love the blocks and I love Halloween -- hope I win -- thanks for the chance! You did a fantastic job on your table runner, Carol. Always love a good giveaway too...thank you. That is one gorgeous runner..love it! Great giveaway and hope to win! Love your blocks. Thanks for the giveaway. Thanks for preparing so many different blocks. I esp. love your EQ paper pieced blocks. The finished quilt is very fun. Nice job, love all those blocks, those pp ones are especially nice :) Great to hop with you! Those are fabulous patriotic blocks!! I love the table runner. The charm squares look too cute! Please enter me. I so love all these patriotic red, white and blue projects that you girls are sharing with us!! Your blocks are gorgeous!! Love the table runner!!! :-) Thank you for the chance to win some fun Halloween charms! your tablerunner has such fun fabrics! What beautiful blocks you have created. I Love Red White and Blue Quilts! Your Blocks are Wonderful! Thanks for the Giveaway! what a fun and funky charm pack, and LOVELY blocks! Carol - you have come up with some great patriotic blocks! Thanks for sharing with us. Wonderful blocks. This red, white, and blue is going to be fun. Thanks for a nice giveaway. Nancy P.
Love your RWB blocks. Thanks for the chance to win! Beautiful blocks, Carol! And I love the Halloween fabric you chose for the giveaway! WOW! So many great blocks to see...yummy July 4th eye candy! Great giveaway! I especially like your star with a heart in the middle. RWB is one of my favorite combinations. Very nice work!! I love all of your americana pieces, wonderful designs and fabrics. 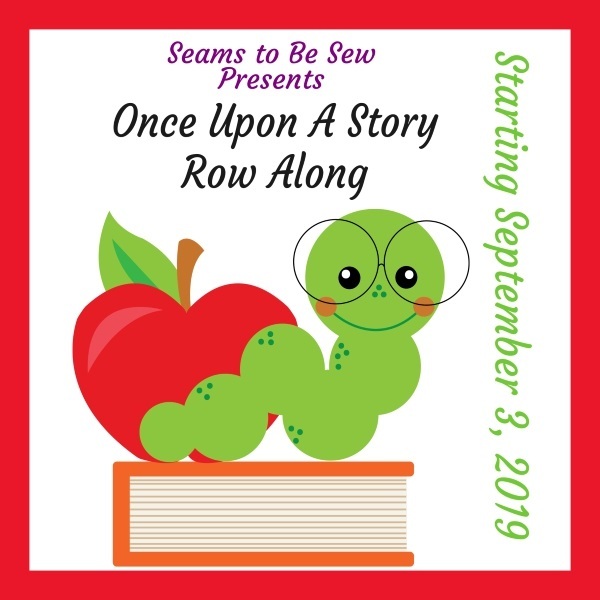 I am still working on finishing the two I started, but I will use them all summer, so a few days late, will be ok.
WOW - you really got into the RWB! Love all of your blocks! I just may have to get the new EQ program! Love the paper pieced blocks! Thanks for sharing AND thanks for offering the giveaway! Wow, you made so many different blocks! So creative. I love your flag blocks and of course the star with the inner heart that was picked as a favorite. Just beautiful! Thanks for sharing and for the chance to win. Love your blocks. I love to create as I sew. Sometimes those quilts end up being my favorites. Thanks for the great giveaway. Carol...you have been so busy! All are wonderful blocks, and I love the wallhanging you came up with. Now that is quite the stash of red, white a blue fabric for an amazing set of blocks! They are each unique and beautiful ... thank you so much for sharing!! Love the title of your blog... I feel that ways often and wonder in my head, "Why do we have to eat supper anyway.... Why do I always have to make supper... The dishes (dusting, laundry, vacuuming etc) can wait... hehehe! I love the way your table runner developed before my eyes!! Thanks for sharing some great ideas!! Wow! You have been busy! I love all of them. What an awesome table runner. Thanks for sharing & the opportunity to win. I love the scrappy look of your table runner. It is so cute. Thanks for sharing. Wow! they all look great! Nicely done! Awesome table runner.I love all your paperpiecing blocks! What wonderful blocks! There is something so refreshing about the RW&B. Bright, happy tablerunner! And a nice giveaway. I love Halloween fabric!! and love your paper piecing. What a fantastic table runner! I love it! Wow! So many great blocks!! I love your table runner!! The paper pieced quilt is amazing too!! Thanks for sharing with us!! I espcially like the heart in a star paper pieced block. I'm loving your RWandB runner and wall hanging!! You were busy! Thanks for the chance to win one of your charm packs...!! Wow, what an interesting and really cool table runner. So bright and pretty. Love this new art I am learning by seeing what artists like you design. Wow, Carol, busy stitcher you have been! All your red white and blue projects look wonderful. I like that each one has such a different look to it while still being all the same color theme. Well done! Wow! I love your blocks! My favorite is the stylized flag block. Thanks for the opportunity! You've got the red, white & blue down pat! Lovely blocks. Thanks for the chance to win. You have some lovely RWB blocks going on here. Have a great 4th. Thanks for offering the giveaway. congratulations on your win -- your star is just too dawgone cute, it looks like it's wearing a checkered bathing suit! my favorite is the asterisk block -- love that one! And, Halloween is my favorite holiday, so i'm crossing my fingers to win, too! thanks for this opportunity! Just a wonderful post of so many lovely blocks! And love how you tabbed the runner so you had a hanging option, very cool. I'm very impressed with the creativity and uniqueness of your RWB blocks!! The hanging tab is Genius!!! You should send that tip into the Fons & Porter show and win a prize for such a great tip! Your Give-away is Fantastic...Oh I hope Mr. RNG picks me!! Wowee! you sure have been busy. You created some really fabulous blocks. Love all the great blocks! I like to play with strings and just see where it will lead to also, wonderful table runner!! Looks like you are having fun with EQ, love the paper piecing! Thanks for a great giveaway too! Love your blocks. Your table runner is fantastic and perfect for the 4th! Love it!!! Thank you for your great post and also the opportunity to win. Happy quilting! It is so interesting checking out all the different blocks in this hop, great job! Great idea of putting the tabs on the table runner, you get a 2 for 1! Your RW&B blocks are great. I love the Halloween fabric for your give away. My short and sweet....what fun blocks....I'm a new follower. What a great idea to put tabs on the back! Thanks for the giveaway! love the blocks, they are adorable! 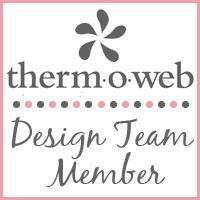 You really worked the RW&B fabrics, they look great. Really love the table runner. I have most of that fabric! Thanks for the give away. Thanks for all the great ideas! I'm new to the quilting world and intrigued by all the paper piecing blocks I've been seeing lately. I'll have to check out that software program. I am at geneleenloire at yahoo.com .. in case i win the giveaway. Love the table runner, I think block 3 is my favorite. I love the picture of your log cabin block and your trusty assistant making sure that they won't blow away while the picture was taking. I would love to be a winner in your wonderful drawing. It just reminded me that my young son asked for a Halloween quilt for Christmas. Go figure...LOL! Thank You for the chance to win. Great blocks and the tablerunner is awesome. Love it. Thank you. I love Halloween and I love what you have done with the red, white and blue. Thanks for the giveaway! Nice giveaway. I would love to try something for Halloween. I love the tablerunner! always forget that I can do just a few blocks and make a table runner! All of your blocks are fantastic, but I really love the third one in the table runner.Maybe you can show us how to make it one day.Thanks so much for the giveaway. I love all your blocks! They are beautiful! Have a happy 4th and thanks for the giveaway! great blox one and all! the table runner is super and would be a great idea for my entry table! thanx for the oopportunity to win the halloween charms. Your blocks are awesome and definitely fit the theme. Thanks for having the giveaway. Love the blocks with your 5 pointed stars. Lovely work! Love all your blocks. The tablerunner turned out really cute and I love the border you chose. Love the table runner and the mini quilt. The runner looks super in the sunshine, too. I love the runner. My favorite block is the off-center star. I am a sucker for hearts too. Well done. I love your blocks - especially the log cabin! thanks for the lovely giveaway! Beautiful! I'm a softie for hearts and log cabins! Great table runner. WOOHOO for the Faboulous tablerunner!!! Where have I been???? That is the first time I've seen "hangers" applied like that!!! Will definitely keep that tucked away for future reference, THANKS! Sorry am not a woman of just a few words. LOL!!! I think both of your projects turned out great! Now you are all set for the 4th. I didn't realize EQ comes with patterns. It's on my wish list, but I keep buying fabric instead. Thanks for the giveaway. dang maybe I should proofread my FABULOUS comments, sorry!! Love it! Nice job. Thanks for the chance! All all your blocks are inspirational. Thank you for sharing. Happy Hop Day Carol, I love the first five! Great fabrics! I would love to live in your Red/White/Blue Stash!! I also love how you made them into a table runner or wall hanging! Next the 12 1/2 inch blocks. I just love the middle one, great use again of fabrics. A new program!! Hmmm, might have to check that out too. So much inspiration, thank you!! I love all the different blocks. You have really used your imagination. The hearts in the stars are extra cute! Really cute, you've inspired me, I made an awesome Canadian Flag which my riding Nathan Cullen has in his Ottawa office, but now I'm inspired to make an American flag. I like your random way of doing your blocks. Thanks for the chance in the giveaway! I love your different blocks! Thanks for the chance to win some fun fabric! I have so many of the fabrics you used in your runner -- love it!!! 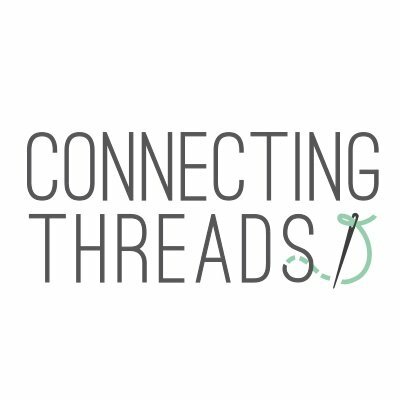 I'd love to see your fabric stash! I just love your blocks. RWB together can't be beat. I really like your blocks, and thanks for the chance to win the Halloween fabric! Oh gosh, all your blocks are amazing! Love your runner and putting tabs on the back to hang as well, you're a smart cookie! hehe. Thanks for sharing and being so inspiring. Thank you for a great giveaway and a chance to win. Thanks for being so generous with two winners. I love the table runner! Thanks for the giveaway!!! Great table runner! Thanks for the sweet giveaway! What a lovely assortment of RWB you gave us. Thanks for the give away opportunity. Wow! Gorgeous RWB blocks. Really like the paper pieced hearts! Have a wonderful July 4th. Those are great RW&B projects. I love the table runner! Thanks for letting us visit. I'm a new follower. You did great job on RWB blocks. I love the table runner. Thanks for the giveaway. Love the color combinations in your blocks! Make me want to run to my sewing room and pull similar fabrics. Thanks for the inspiration! I need that software!! Look at all the wonderful blocks you made!! Love the fresh colours you used in the Red White and Blue hop! Really digging your blues! Thanks for participating! I really like you improv blocks, nothing like a red white and blue quilts. So many cute blocks! So many ideas! Thanks for all the inspiration! Wonderful blocks! I love them all together! Your table runner turned out beautiful and I like your pieced block with the heart in the middle of the stars. Your designs are very creative! Love them! So many clever designs! So little time! If only I didn't have to eat & sleep occasionally! Great designs, and really like how you made a table runner. Halloween charms, oh what to make. These are all very cute. I love Halloween fabric of any kind. I really hope you pick me. Your blocks are wonderful. I really liked the paper pieced blocks! Your blocks ate great and I love the table runner. Nice giveaway...Your paper piece blocks are very nice. I love how your table runner turned out. I'm getting so many good ideas, and it's only day three! Love the table runner. Great idea to add tabs. Thanks for the giveway! Love all your blocks! The tablerunner and quilt are so cool! Thanks for adding me to your give away. Love them all! Thanks for the giveaway, my second favorite time of year is Fall. Wow, you have done quite a bit of Red, White and Blue sewing. I think block one is my favorite, but maybe that is because it is the first one I saw. Happy 4th of July. I love that first block- I hadn't thought to use a long cabin for the blue in the flag before. Thank you for a lovely giveaway. Your red,white, and blue project is nice!!! This idea has been fun. thanks for the giveaway!! So cute! I love the hearts and stars together. I think Autumn fabric and Halloween fabric is my favorite. Thanks so for chance. Great blocks, and i like how you put them together in a table runner. When I first saw your picture of the completed table runner I decided to make one for myself. However, I want to use it as a window topper (valance). Thanks for the ideal, and for taking part in this blog hop. I love RWB themed blocks...thanks for the inspiration. Next year, i'm gonna have a RWB runner. Great variety of blocks. I like the way you put them into a table runner. Love your blocks. I especially like your red, white and blue floral fabrics. This runner looks great. I love the EQ quilt you made. It looks even better than it does on the computer version. Great blocks!!! Thanks for the great giveaway!! I like your blocks. Thanks for the chance to win. Love your blocks. The red, white and blue fabrics are not so much patriotic but Americana. Thanks! I love your red white and blue fabrics ~ so cute! Doing the craftsy BOM blocks in RWB was a great idea. Thanks! I love the table runner, I wish that had more time to prepare, but with a new grandson due any day, and 2 sons getting married 2 weeks apart, not much I can do but sew, I am making wedding lap quilts and baby quilts. So darn cute--love the table runners squares! You are inspiring. I love all of the blocks. They sure make great 4th of July decorations!! Oh boy I would love to win on of those charm packs. 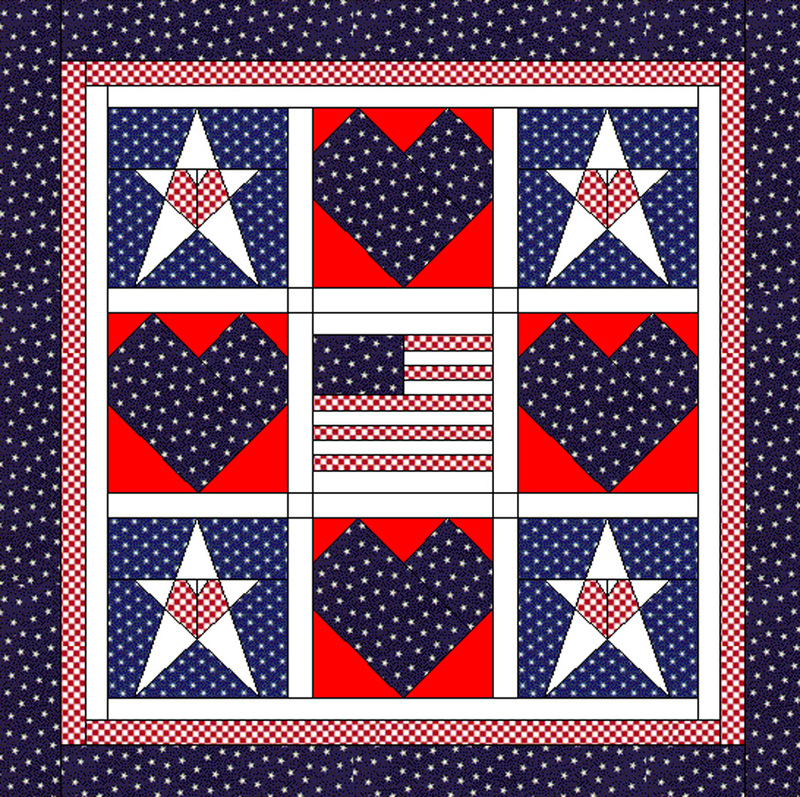 I love all your red, white and blue blocks!~ the runner is fabulous! I love the table runner!!! Your table runner turned out fabulous- Thanks for participating in the blog hop- I have enjoyed seeing all the different star patterns and star fabrics. My husband is an amateur astronomer and I have made a few star pattern quilts. It is one of my very favorite designs. Love your blocks, especially the table runner. I am loving seeing other peoples colour combinations for the Amy Gibson BOM class, it is really fun to see how different we all are when combining colours. I wish my "freehanding" was as good as your "freehanding"! They all are stunning! Great blocks! I love the runner!